Miniso pursues the concept of living with quality lifestyle and our mission goal is to provide customers with high quality products, competitive price and creativety. Join us, Miniso Australia. Enrich peoples lives here by Miniso products. The opportunity to work alongside an exceptional and supportive team in a dynamic environment. The availability to work either full or part time; Enthusiasm for work with an outgoing character; Hold a flexible attitude towards tasks and rosters. Have a strong sense of responsibility. Operations, Merchandising, Human Resources, Logistics, Information Technology, Accounting, PR & Marketing. We are looking for a highly skilled Visual Merchandiser to launch this incredible brand into the market and deliver total success in back-of-house management. This position is an amazing opportunity to truly partner with our Area Manager and providing support to the VM & Store based team. Your aim as a Visual Merchandiser is to train, motivate and coach your co-workers to ensure the consistency of the company VM standards. Product presentation, store windows, trends and advertising must have a clear impact on sales figures and turnover in stores therefore getting the stores to think commercially is paramount to the role. You have previous experience in a Visual Merchandising role, supporting a fast pace, high volume apparel brand. You have excellent communication and collaboration skills with the ability to build relationships and truly partner with our store teams. You are a creative at heart who loves a challenge, problem solving your way out of any VM issue. If you are interested becoming a part of dynamic team and join a friendly and a collaborative work culture, submit your application by attaching your Resume and Cover Letter outlining how you meet our selection criteria for this position. We are looking for enthusiastic sales professionals with excellent customer service skills to work in our Miniso Australia stores. We are looking for enthusiastic sales assistants with excellent customer service skills to work in our Miniso Australia stores. Upload file up to 4MB in size. ^ You can only upload pdf/doc/docx/pages or image files. 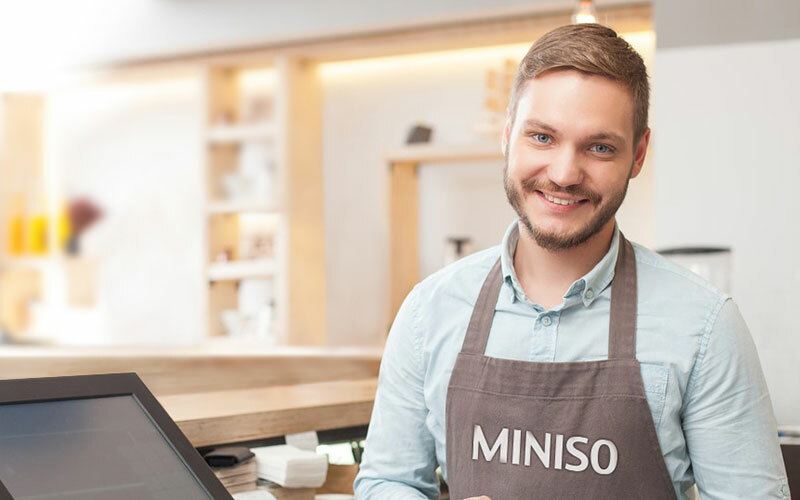 Want to become a MINISO franchisee?